The official journal of HBES, Evolution and Human Behavior is an interdisciplinary journal, presenting research reports and theory in which evolutionary perspectives are brought to bear on the study of human behavior, cognition, and culture. 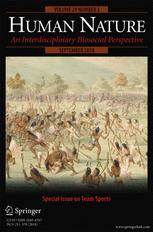 Learn more about this journal including submission guidelines at EHBonline.org. HBES members have full electronic access to current and archived (since 1998) volumes of Evolution and Human Behavior. Your institution need not subscribe. To access the journal, enter your username and password in the appropriate boxes (upper right side of the screen). Your username is the initial of your first name (capitalized) + your last name (with initial capitalized). For example, John Doe would be entered as: JDoe. If you are asked for a member number, it is a 7 – 8 digit sequence such as: 1010101-1 located on the mailing label of your journal wrapper. You will need to wait to receive your first issue in the mail to obtain this number. Delivery of the first issue and/or back issues generally takes a month after you have joined HBES. 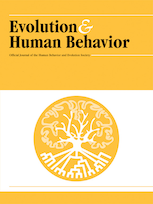 If you have correctly entered the information above but are still having difficulty accessing the journal online (and you have already received your first printed issue of Evolution and Human Behavior in the mail), please contact the HBES Treasurer ONLINE to make sure your membership is current. If your HBES membership is current, email Elsevier’s Society Coordinator Frances Canupp at F.Canupp@elsevier.com to activate on-line access. Springer offers HBES members a special subscription rate of 50.00 USD (including postage) for a 1-year print subscription to Human Nature.